Do you have a favourite pair of blue jeans? Then you already love indigo. 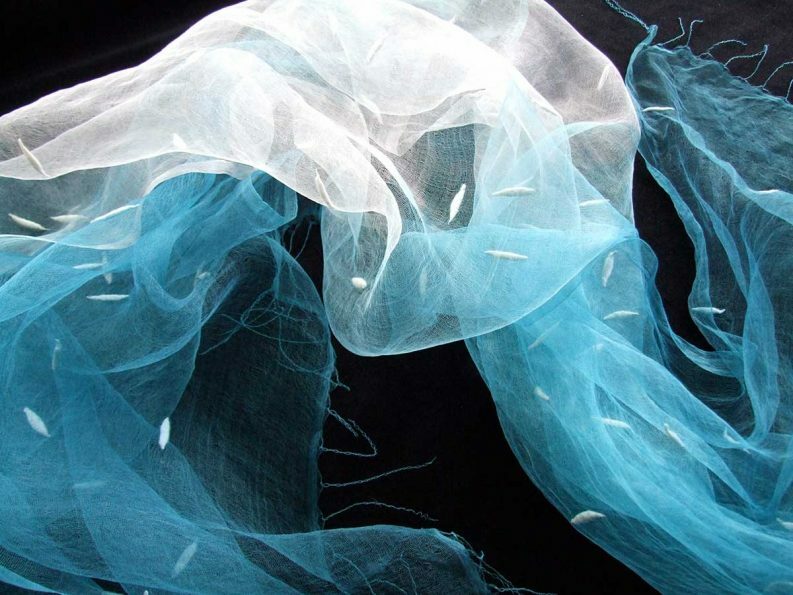 Indigo is a blue dye known to go back 6,000 years. 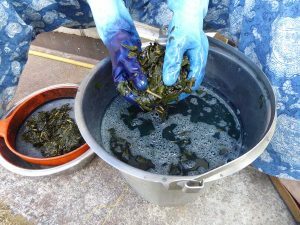 In its natural form it is made from the leaves of plants, although your blue jeans will probably have been dyed using a synthetic form of the dye. 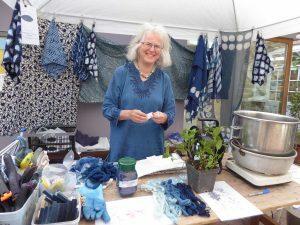 During the drop-in workshop you can learn something about the almost magical way that indigo works, see a display of work dyed in indigo, and dye something yourself which you can take home with you. You will be using natural indigo made from leaves, some of which have been grown in Isabella’s Hatherleigh garden. 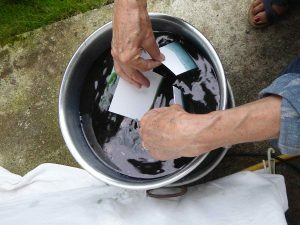 There will be inexpensive cotton bags, napkins etc for participants to buy-and-dye at the workshop stand. Small children can dye ready-cut fabric or paper shapes free. Suitable for all ages: children to be accompanied by an adult, please.